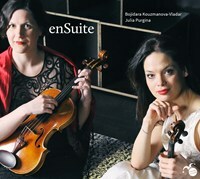 For their new release "enSuite," violinist Bojidara Kouzmanova-Vladar and violist Julia Purgina selected their favourite pieces from Johann Sebastian Bach’s music for solo violin and then presented them to contemporary composers. 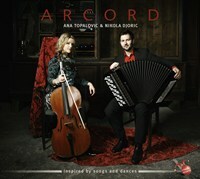 The objective was to engage with the music of Bach in such a way that the new compositions could be combined with the Baroque works to create a "timeless“ suite. Bojidara Kouzmanova-Vladar is a native Bulgarian who began studying violin at the age of 5. 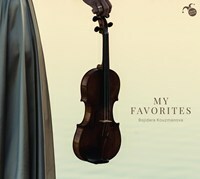 She has gone on to study at the University of Music and Arts in Vienna, win many national and international violin competitions in Europe and the United States, and perform as a soloist alongside the world’s best ensembles. 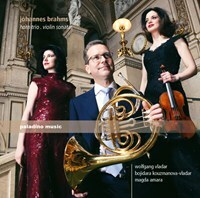 Austrian composer and violist Julia Purgina holds a double masters degree in viola and composition from the University of Music and Performing Arts Vienna. She’s received numerous prizes and scholarships including the Theodor Korner Prize, the Gustav Mahler Youth Orchestra Stipend, the Antonio Salieri Composition Prize, and more. If you like En Suite, please tell your friends! You can easily share this page directly on Facebook, Twitter and via e-mail below.